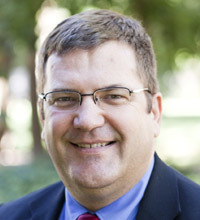 Gordon Mikoski is an associate professor of Christian education at Princeton Theological Seminary. He earned his M.Div. and M.A. degrees from the Princeton Seminary, and his Ph.D. from Emory University. His research and teaching interests focus on the sacraments, the doctrine of the Trinity, and Christian education. He serves as director of the Masters’ Studies Program, the editor for Theology Today, and the president of the Association of Practical Theology. An ordained Presbyterian minister, he served a church in Michigan for eight years before returning to academia. Beyond the 95 Theses, Martin Luther should be recognized for his pedagogical genius and liturgical creativity, both of which shaped the trajectory of history.